For IT News Week 3 of Jan 2019, the IntelliSnap® snapshot technology by Commvault targeting Cisco HyperFlex hyperconverged systems is worth a note. 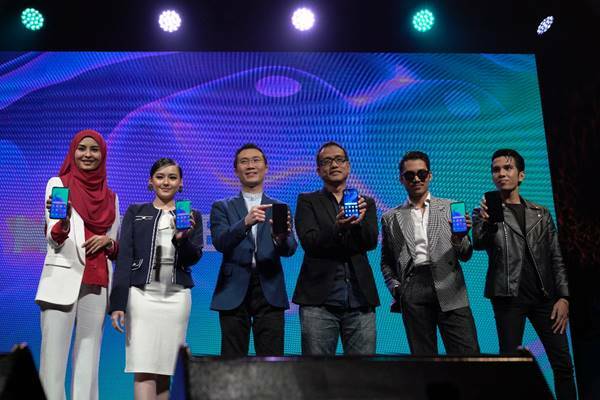 Following its global launch in December, HUAWEI launched the new HUAWEI nova 4 to Malaysian consumers. Developed through a better understanding of consumer needs and current industry trends, the HUAWEI nova 4 brings the innovative Punch FullView Display experience for the first time to Malaysian consumers, together with cutting-edge premium design and AI technology. Hannah Delisha, HUAWEI nova ambassador said,AI-supported features such as Triple AI Camera, AI Smart Video Editing and AI Beautification has made the phone become her new best friend - complimenting her lifestyle between photoshoots, drama sets and events. With the start of this new year, be determined to eat cleaner and live a healthier lifestyle. 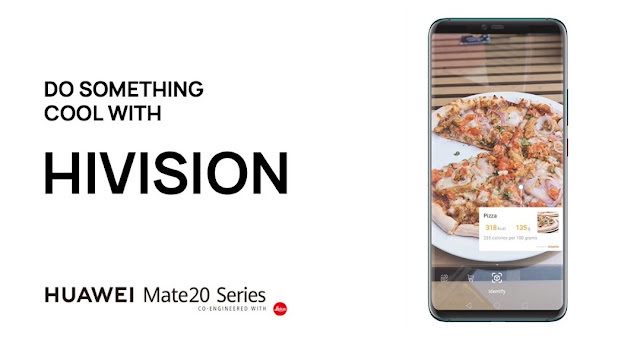 Huawei offers a calorie count in its HiVision feature via its latest flagship smartphone model, the Huawei Mate 20. Check out the calorie content in your favourite Chinese New Year snacks as well as the daily activities and exercise recommended to do to avoid putting on the weight. In simple steps, just scan a food item with the camera to get a calorie reading. Make a smart decision whether to indulge in a couple of tarts and end up with at least 25 minutes of vigorous walking time or an hour of house cleaning to get rid of the excess calories. In addition to this, utilise the multiple sport modes on the Huawei Watch GT Sport that provides coaching for many indoor, outdoor, and training activities. These include advanced running courses to assist you in real-time, while also providing guidance training and time-movement effect feedback. This festive season, present loved ones with the gift of health for the best fitness and wellness plan and live a healthier lifestyle through technology. Bring home the Huawei Health Treasures – Huawei Mate 20 + Huawei Watch GT Sport + Huawei Health mobile app to ensure one’s fitness and health needs are met, especially for younger users who are more in tuned with technology. The Chinese New Year promotion runs from 15 January – 13 February 2019, offering three ‘treasures’ - Healthy Pouch Set at RM3,588 which includes a Huawei Mate 20 (retailing at RM2,799), a Huawei Watch GT Sport (retailing at RM899) and Huawei Health App which provides a comprehensive health report and customized health suggestions. Promotion is only available through Huawei Online Store. Designed from the ground up, the X Mic uses a mixture of physical elements and cutting-edge digital signal processing (DSP) to remove unwanted audio from recordings. Because of its advanced design and digital processing, where traditional microphones pick up nothing but the wind, the X Mic allows listeners to get a more intimate audio image of, say, a race car zooming down a wet track at hundreds of miles an hour. Because it’s small and lightweight, producers can even use several microphones to capture specific aspects of the sound, akin to the way multiple action cams are used in productions today. 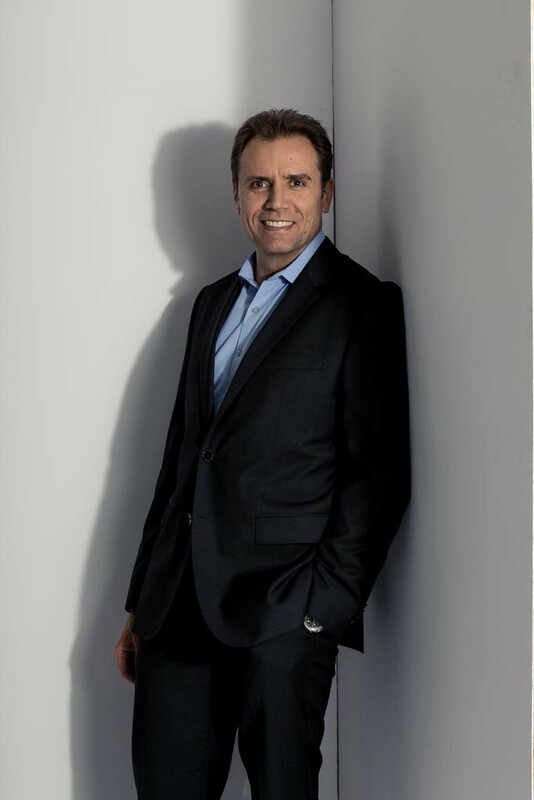 Sophos (LSE: SOPH), a global leader in network and endpoint security, has announced the appointment of Gavin Struthers as its regional vice president for Asia Pacific and Japan, to drive strategic business growth plans and excellence in channel operations. 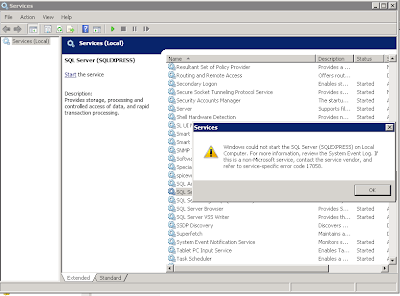 Struthers is based at the Sophos office in Singapore. Struthers brings almost 30 years’ experience in IT sales leadership and general management to his new position, including a wealth of channel and cybersecurity expertise. Prior to Sophos, Struthers spent 16 years at McAfee where he held several senior leadership positions in the US and within the Asia-Pacific region, most recently serving as senior vice president and president, APAC at McAfee. During his time at McAfee, Struthers collaborated with partners, distributors, and managed service providers to deliver sales strategies and growth across the region. Leading Oracle Platinum Partner Inoapps has signed a global Strategic Alliance with Rapid4Cloud. Under the terms of the agreement Rapid4Cloud’s unique Oracle Cloud toolset will be integrated with Inoapps’ widely acclaimed In2Cloud implementation methodology. Inoapps will also use its extensive Cloud knowledge, experience, and technical skills to help Rapid4Cloud accelerate and improve their product. One of the biggest issues facing programmatic advertising today is its murky supply chain. From the ad tech providers to data management platforms, the Interactive Advertising Bureau (IAB) identifies several different supply chain intermediaries who can take a bite out of an advertiser’s apple. With so many players, advertisers do not know how much of their spend is going to fees versus publishers. To make matters worse, every step down the supply chain is an opportunity for bad actors to sell fraudulent impressions. With marketers directing a larger share of their budgets to programmatic, it’s time they take a hard look at the inefficiencies within their supply chain. A holistic approach to media strategy can help everyone in the ecosystem — marketers, publishers and consumers alike — get the quality they deserve. To help marketers make their media supply chain work more effectively, MediaMath has released the Supply Chain Excellence whitepaper – which explores the hidden costs and factors that can compromise the effectiveness of deals on platforms. TIBCO Software Inc., together with XL Axiata, a leading mobile telecommunications services operator in Indonesia, today announced a strategic alliance with the objective of strengthening the Data Science project, a pilot initiative of XL Axiata. In addition to offering its robust analytics solutions like TIBCO Data Science, this growing partnership will also embrace the potential for cloud technology in specific deployment areas of the Data Science project. As one of TIBCO’s renowned customers in Asia, XL Axiata understands that this new collaboration will allow them to equip their data scientists with the tools they need to work effectively and provide them with the most innovative techniques and technologies to address pressing issues at hand. Keri Oetarto, group head, information technology, XL Axiata, said the collaboration allows deployment of a standardised technology platform across different business units. Sony today announced the release of a new “Imaging Edge™” mobile application plus several updates to the ‘Remote’, ‘Viewer’ and ‘Edit’ desktop applications, that will bring exciting new features to all Sony imaging customers ranging from casual hobbyists to working professionals. The newly introduced mobile application named ‘Imaging Edge Mobile’ is the successor to Sony’s PlayMemories Mobile™ app and will offer instant transfer of images from camera to a connected mobile device while shooting. Images can be transferred when utilising the new “Auto background transfer to Smartphone” functionality, allowing users to easily share content direct from their phone to social media platforms. The mobile application also supports 4K movie transfer and remote control functionality. 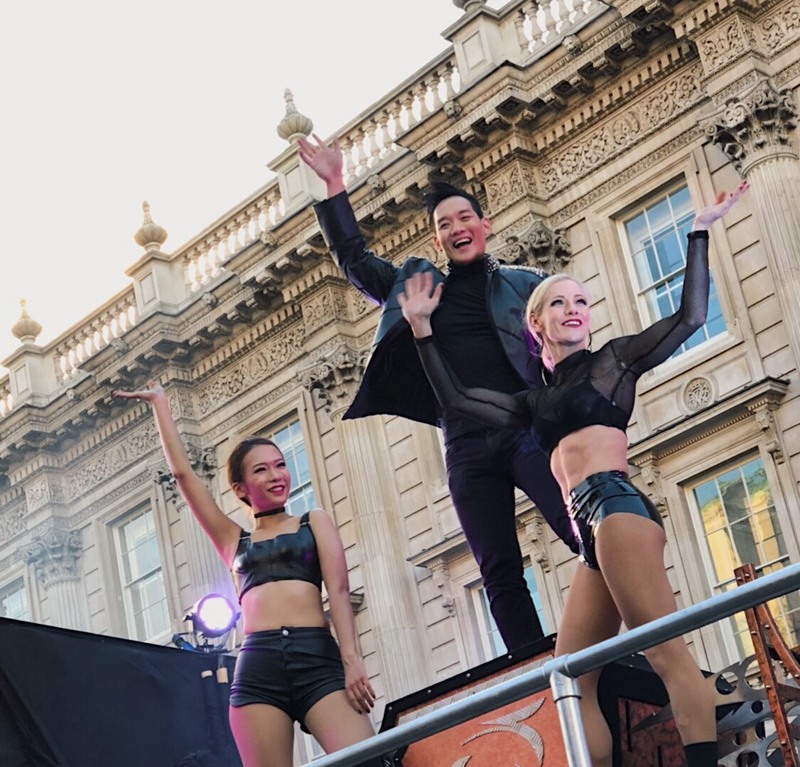 Malaysia's No 1 illusionist and mentalist, Andrew Lee made the nation proud again as he was the first Malaysian to be selected among 77 global performers in the recent London's New Year's Day Parade where he wowed 650,000 spectators. Andrew Lee’s stunning performance on Britain's Got Talent recently (https://www.facebook.com/Lnydp/videos/2194528504135534/) was of the reasons why he was selected to represent Malaysia on a global platform.